Lotto Soudal has confirmed the signing of Caleb Ewan. The Australian sprinter will join the Belgian team with a two-year contract. Ewan puts an end to four years at Mitchelton-Scott. "The opportunity to join Lotto Soudal was for me an important and incredibly exciting one," said the rider. "They are a team that has a great history concerning sprinters and classics, I spent many hours as a youngster marvelling at Robbie McEwen’s victories. More recently I can only say I have nothing but enormous respect for Andre Greipel, what he achieved as a rider and what he stood for as a person. 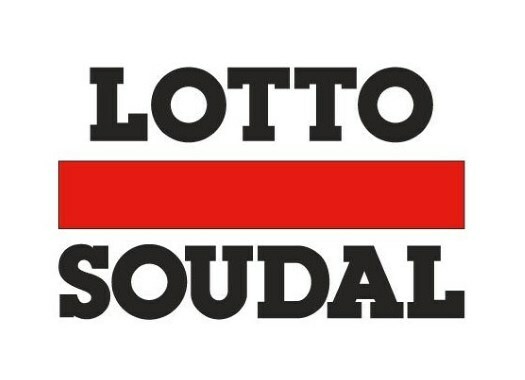 But now together with Lotto Soudal, I hope to write an exciting, new chapter. "I think for me the decision to take this path with Lotto Soudal has been a logical one if you take the emotion out of it, but we have much hard work ahead to make sure it becomes the perfect match. I do feel the path Mitchelton Scott are now on is one not suited to me but I have nothing but appreciation and respect for the riders and the entire organisation. I have learnt and experienced so much during the past four years, I have many life-long friends there and I am sincerely grateful to them." The plan for Ewan with the Belgian team is to build a long-term project. "This is a multi-year plan of natural progress: building a sprint train with guys who have the capabilities to ride the finale of the most important bike races, forming a team with the riders on and off the bike and creating important routines by racing together consistently," Ewan explained. "However this doesn’t mean that we aren’t eager to get some nice results in the first year. Lotto Soudal's Sports manager Marc Sergeant is pleased with the news. "Internally, we have spoken extensively about the era after André Greipel," he commented. "That moment is now. Once again, we opted for a sprinter with potential, just like we did with André in 2011. The choice for a sprinter over a GC rider, for example, is twofold. With a sprinter, you have chances for success all year long and the budget to attract and surround a GC rider is significantly higher. "With Tim Wellens, Tiesj Benoot and Caleb Ewan, we have now three clear leaders for three different types of races. Now it’s a matter of building a team around these riders in order to assist them as best as possible. That’s something we are currently working on. Guys like Jasper De Buyst and Jens Keukeleire could become very important to Caleb. He rode together with Jens for three years, and Jasper has the skills and the guts to deliver a top sprinter into a perfect position in the finishing straight."